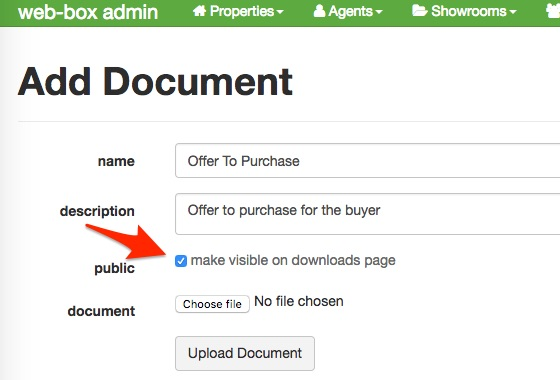 Your buyers and sellers are on the move - literally, which means that they are looking at your website on every type of electronic device available (desktop, tablet, mobile, etc). Currently the best way to make your website look good and work well on all the options is a “responsive” website design. Responsive website design is the practice of building a website suitable to work on every device and every screen size, no matter how large or small, mobile or desktop. It involves programming the website to resize, hide, shrink, enlarge, or move the content to make it look good on any screen. Responsive web design is focused around providing an intuitive and gratifying experience for everyone. We’re proud to let you know that web-box now offer a responsive website design package that will allow your website to be a viewing pleasure no matter the client device. If you’ve got beautiful property pictures and you want to maximise their selling power then this is definitely the upgrade for you. Pictures say more than 1000 words and everyone loves seeing lovely homes fill their screen. Even if you are just wanting your website to stand out from the crowd this is worth looking at. To see more of our responsive designs look through our portfolio. In line with our focus on optimal value the cost is only R3000 + VAT setup (once-off fee) and R895 + VAT per month. The setup fee is discounted down from R5000, for you our existing clients. We look forward to hearing your feedback and of course if you would like to upgrade to a responsive website just let us know! Everything needs a change so whether it is adding new pages to your website, updating your team’s pictures, upgrading, or wanting a full redesign, we can do it for you. Want a colour scheme update, have new branding you're proud of, or just want professional advice on how to make your website really stand out and work for you? Please contact us - we would love to help you. One of the best ways to make your website more current is to make it responsive. Responsive websites work on every device and every screen size, no matter how large or small. This is especially pertinent since more and more people start their searches from their mobile devices. 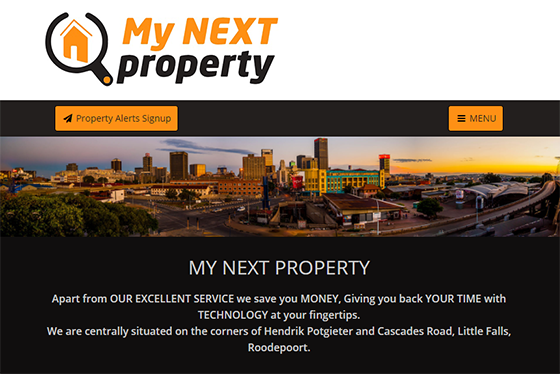 View mynextproperty.co.za on a phone and computer to see how our responsive websites adjust. Please contact us to chat about all your options!